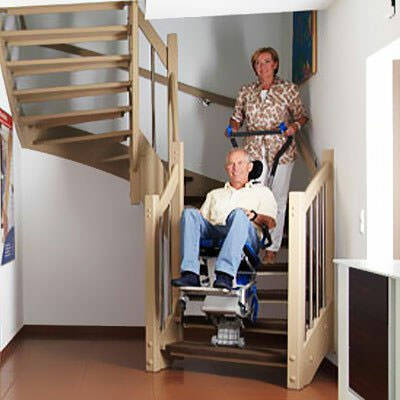 Liftkar PT-S Stair Climber is an attendant operated transporter designed with a built in seat, no wheelchair is required. 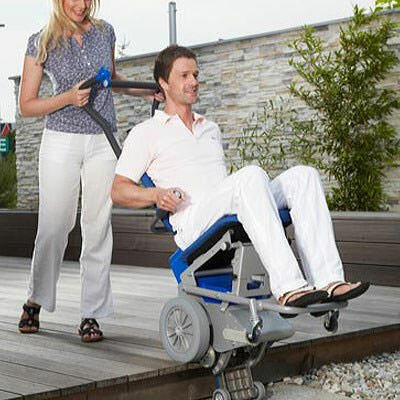 The armrests are movable to allow for easy access. Range per recharge: This depends a lot on weight of passengers and whether they are traveling up or down. 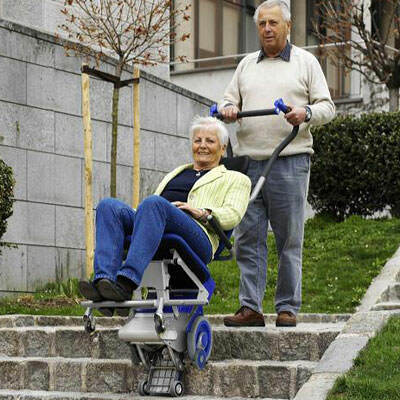 However, between 300 and 500 steps can be specified as a rough guide. 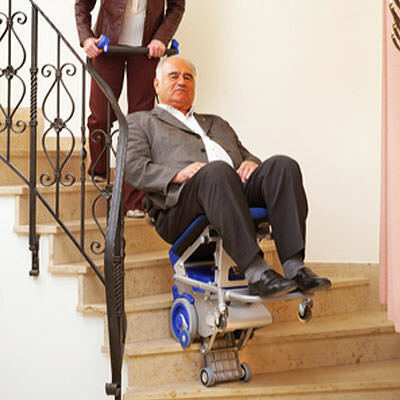 If the stair climber is in constant use, (e.g. 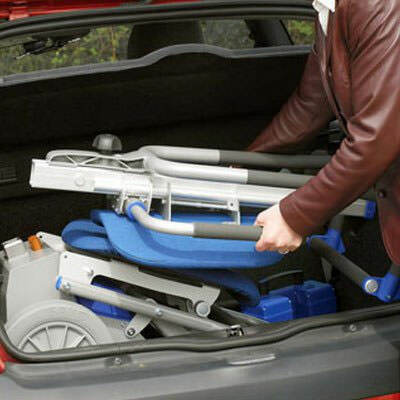 professional mobility services) then a replacement battery pack can be fitted at any time. A mobile charger is also available to rapidly charge the battery pack during the car journey. 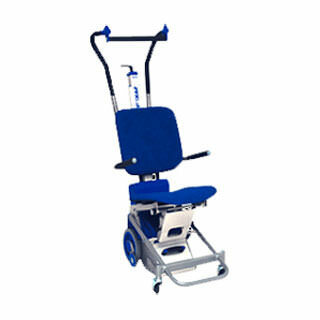 Overall width 15" - 19.88"
Landing requirement 31.5" x 35.4"